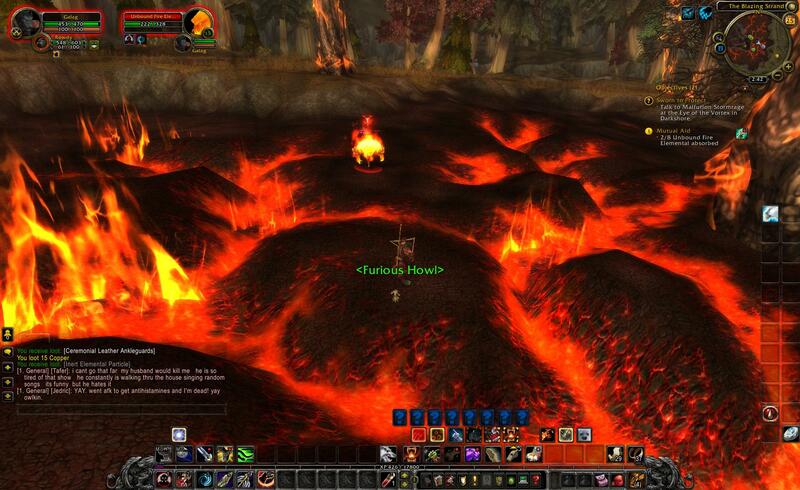 Cataclysm Beta | Tank That! 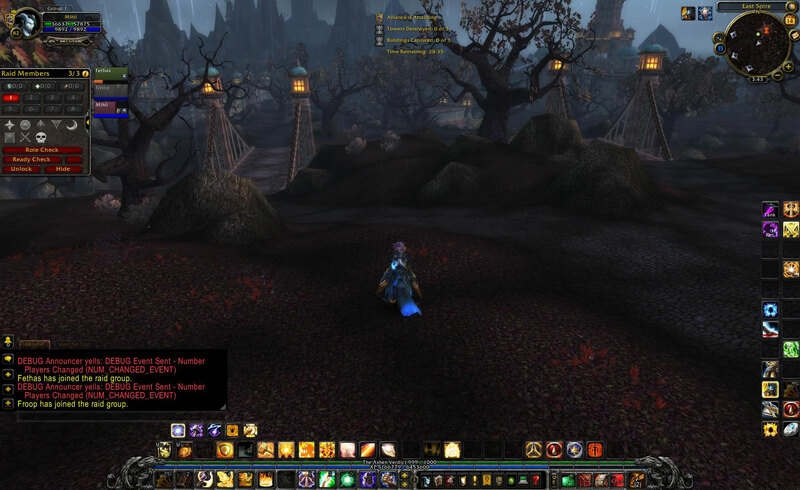 The latest Beta Patch has brought us the islands of Tol Barad. 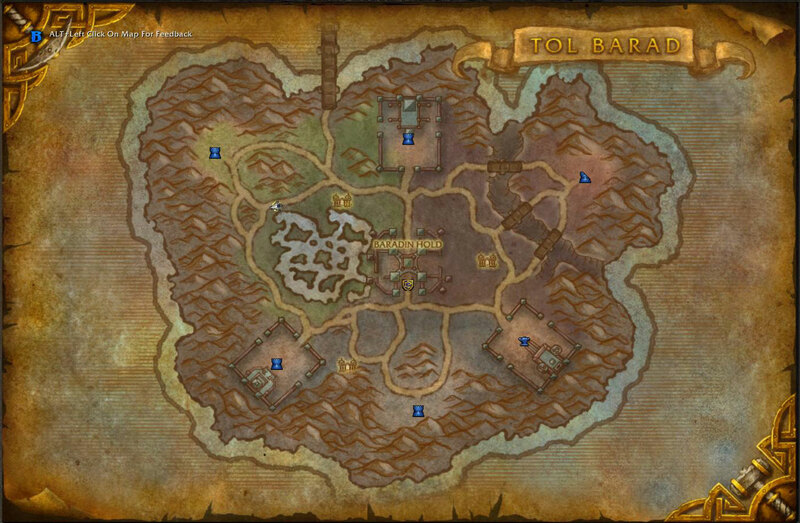 What is Tol Barad you ask? 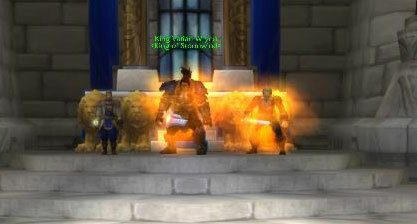 To put it simply, it is Cataclysm’s cross between Wintergrasp and Sunwell Island. 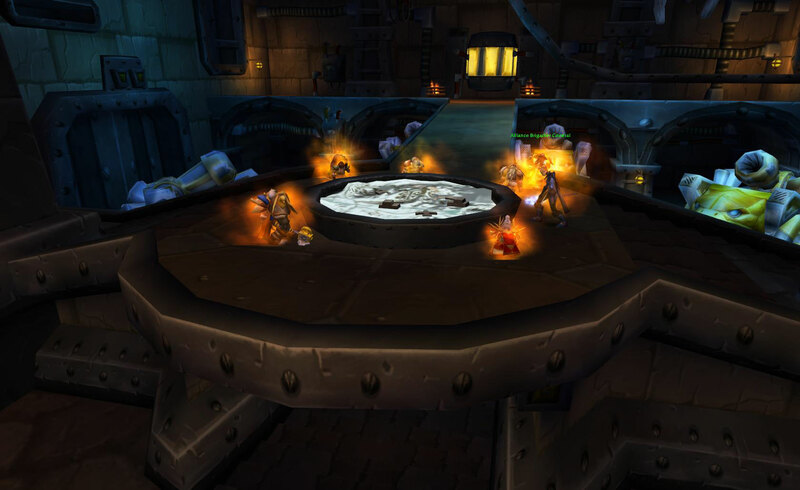 It offers two separate experiences, an Open style Player vs Player interactive zone with set objectives and a Daily Quest Hub when your faction controls the PvP zone. Both of which are in extremely early phases. 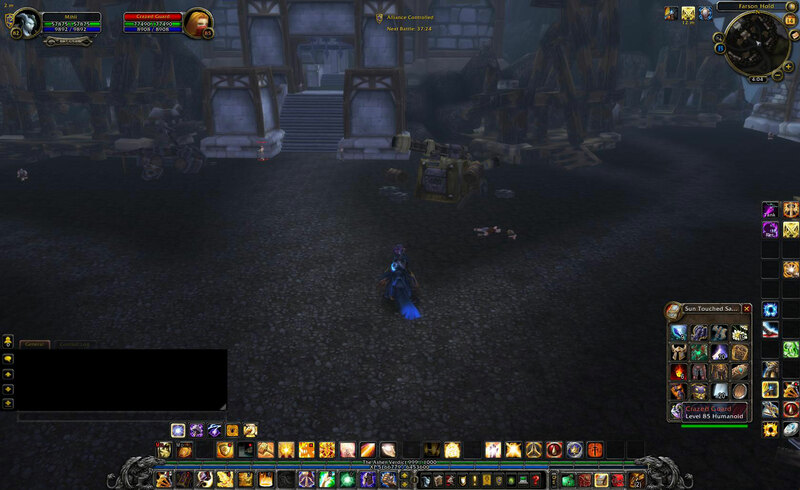 You are only able to test the Pseudo-Wintergrasp timed PvP battle system at the moment. 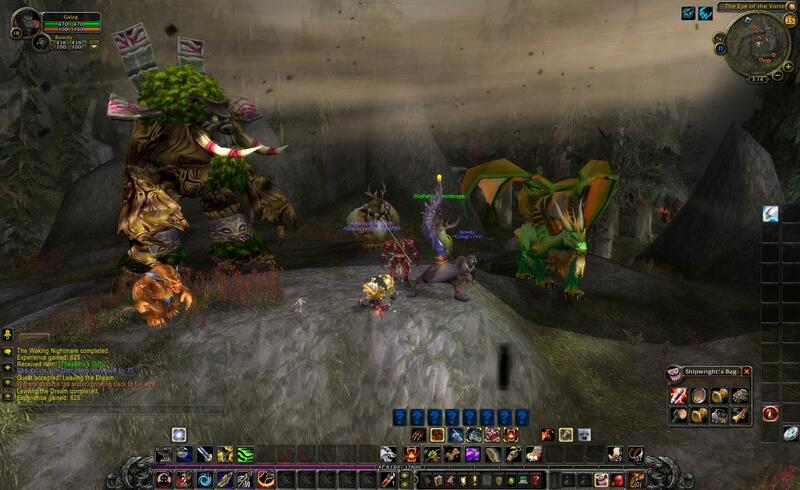 The encounter is a cross between Isle of Conquest and Wintergrasp. The goal is to capture the island by taking control of the three “flag buildings”. These buildings seem not unlike Isle of Conquest’s areas where eventually each one will give a specific buff to the controlling team. However, this portion of the encounter is not yet functioning. It is obvious from the lay of each Flag building that one will definitely involve added siege engine usage. The second objective is to destroy the three “Guard Spires” situated around the prison island. In order to do this you need to accomplish two things. 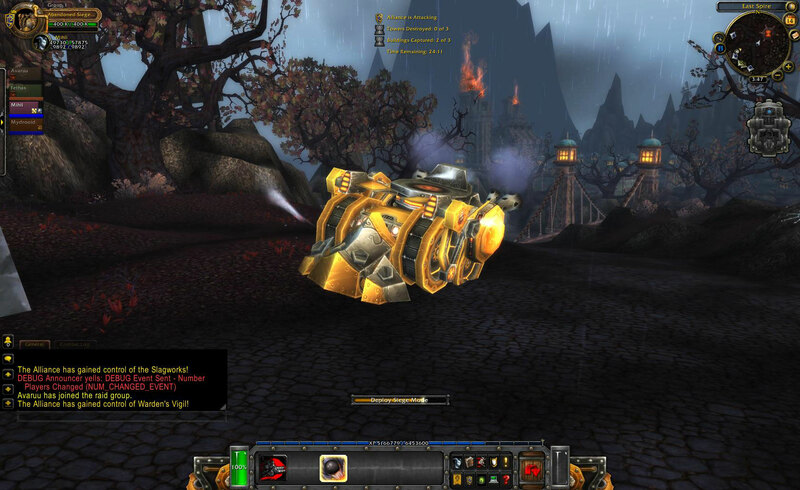 Just like Wintergrasp you need a “Pilot’s License” to gain access to Vehicles on the battlefield. 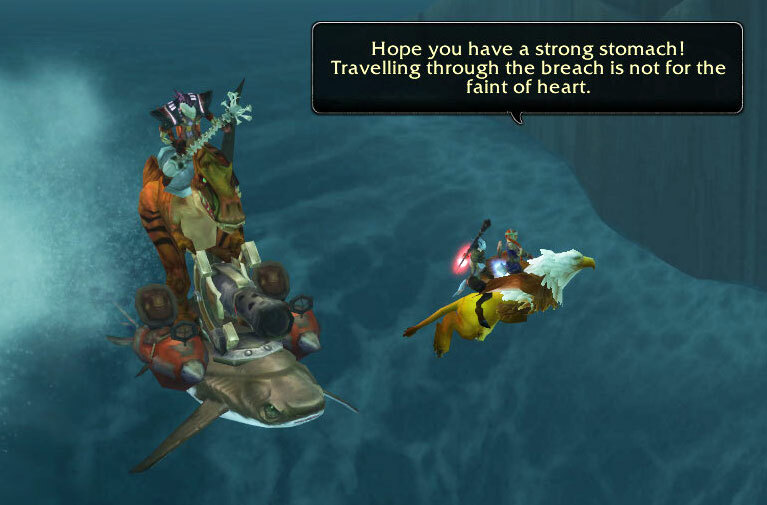 So get to killing those Horde (or Alliance if you swing that way.) Then you must successfully pilot a Siege Tank from the center area of the Map to one of the towers and “transform” the vehicle into an Auto-Turret. At which time the vehicle will continually fire on the tower eventually destroying it. 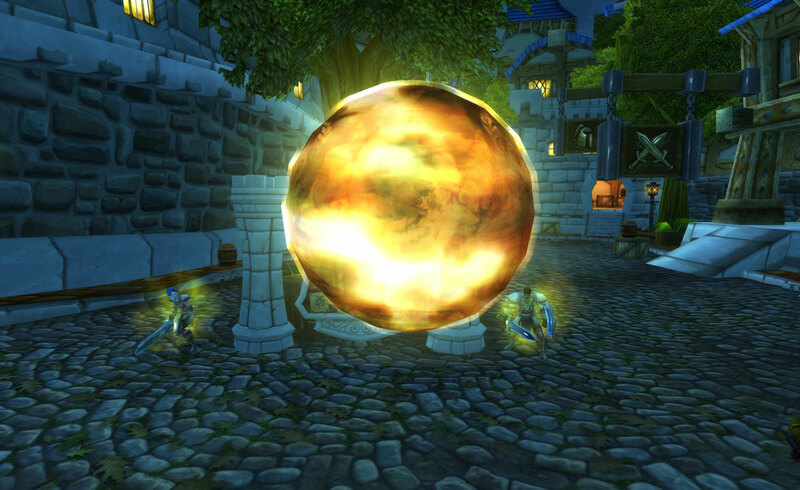 A Sunwell Island without the Naruu. The island is pretty well populated for the advent of its Daily Quests. 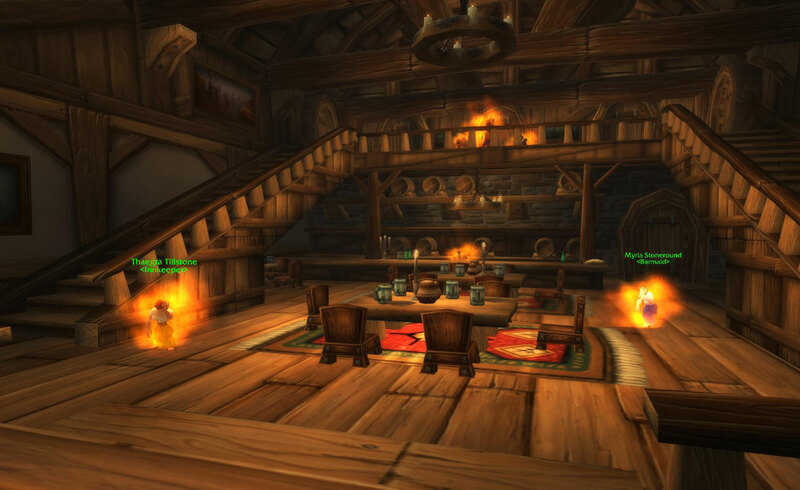 Whether or not this is going to match Sunwell Island and its slowly phasing motif is yet to be seen, but its an eclectic selection of smaller subareas all packed right on top of one island. It has both a feel of all fitting together and not meshing well at the same time. 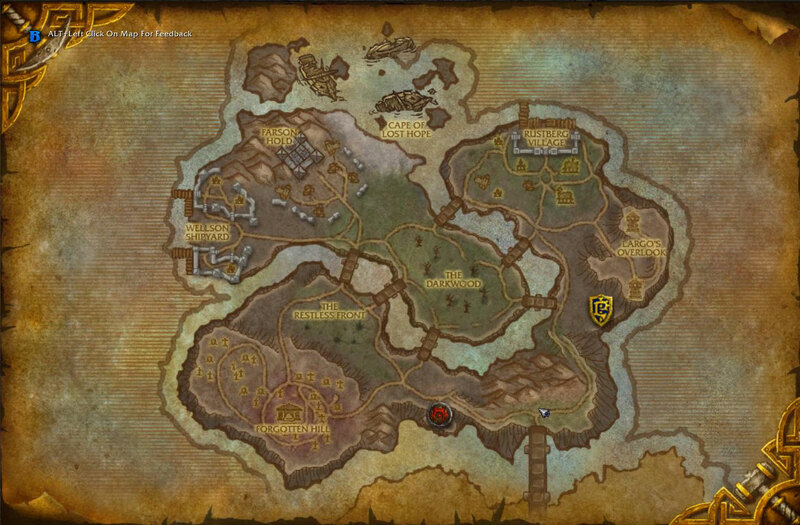 Because the Daily Quests are not available until 85, this area is currently untestable. Well, if you really want to jump in the water and get eaten by the huge elite Shark with a wooden harpoon in its side and call that testing, go for it. Otherwise, we can see that the island is a haunted one. Everything from ghosts ready to jump out at you and say “Boo!” on a creepy mountain overlook, to the overly common graveyard with zombies and ghouls and one big Elite in the middle. The area is entirely too cliche for its own good. 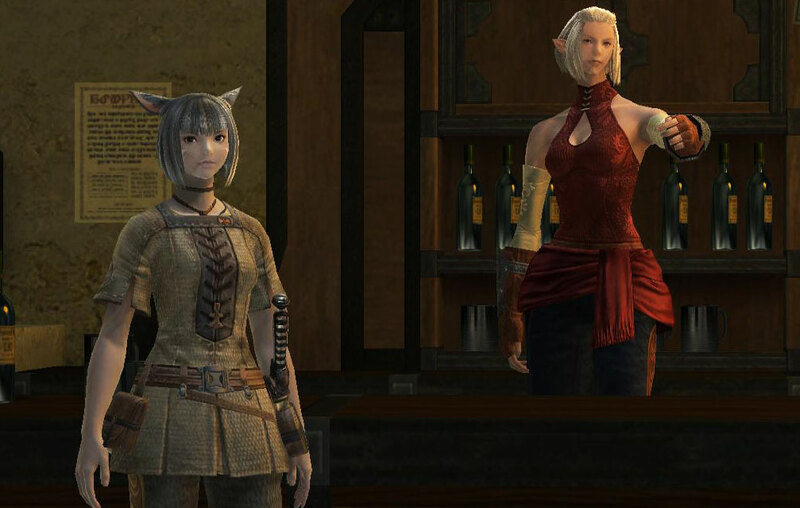 Right down to the entirely overused mechanic of the two factions fighting in a central area. You also have the cursed living in several areas of the island just to even out the monster types that can be found here. The only disappointment was there were no murlocs to be found. I honestly was hoping for some Murlocs or Naga on the island. It would only be fitting that they would be around. It’s a damn island after all and it’s not far north of Vashj’ir. At the very list some Kvaldir would have been a really nice touch here as it is an “undead island” after all. They are much more interesting than the same ghosts and ghouls we’ve been seeing since the first time we happened across Darkshire. The the biggest thing you will notice, is there is no return to the Vault of Archavon model here. The draw here is to gain access to the daily quests so you may purchase the first tier epic rewards. While they are nice epics, time will only tell if its enough of an incentive to keep people competing for control over the course of the expansion. VoA was a wonderful idea, even if it did fail in terms of execution. 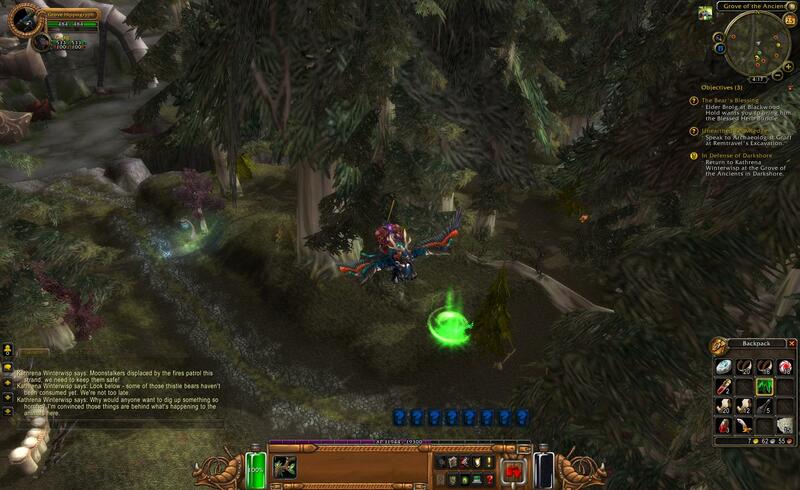 One can only hope that Blizzard learned from it and improve on the formula this time. The island itself has some potential. 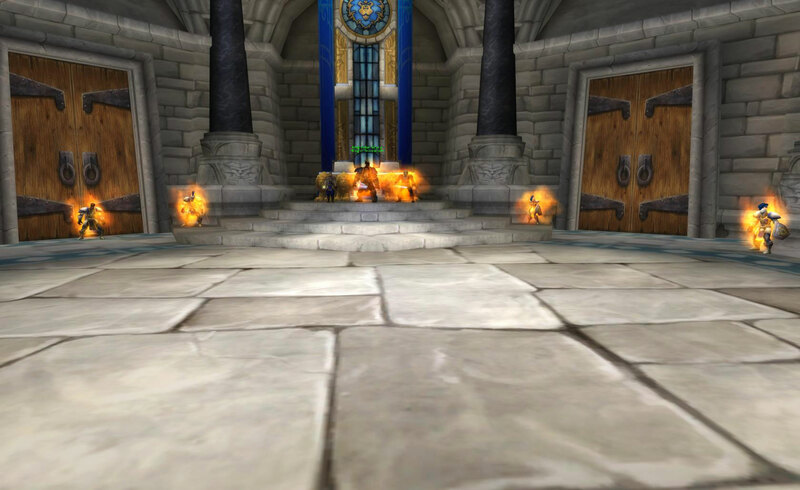 I am not a huge PvP guy though and if the Daily Quest Hub area retains the Open PvP of the Wintergrasp section, this place can go die in a very big fire. 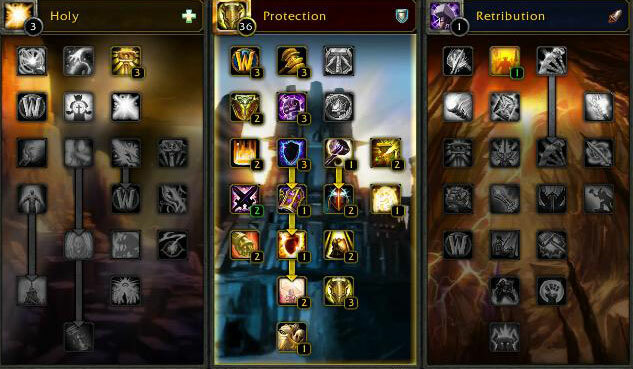 Take special note of the new default raid UI. With it you can quickly and easily dole out Raid Marks as well as handle your Healers, Tanks and DPS simply and effectively. You can even hide and show individual groups with a push of a button. The Raid UI is also detachable as well as lockable to any portion of the screen you desire. Combine that with the Compact UI format and the default UI has come a very long way. 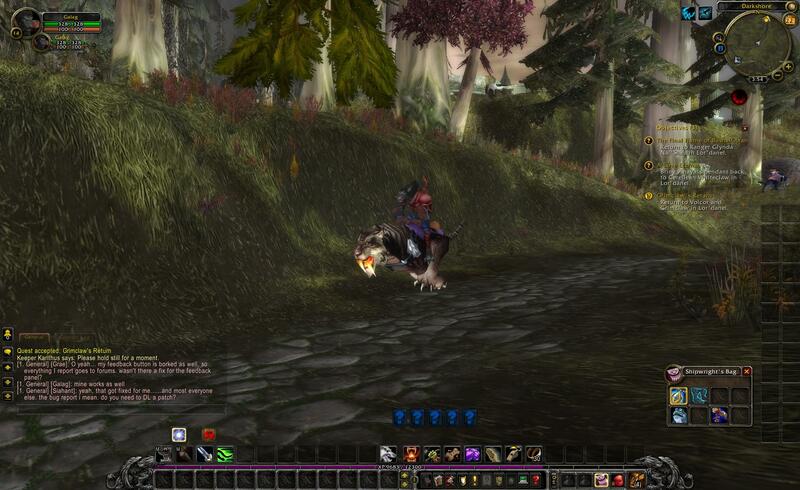 Edit: Looks like I was premature on the “no raid” part of Tol Barad. New datamining has pulled a map of the Baradin Hold raid. 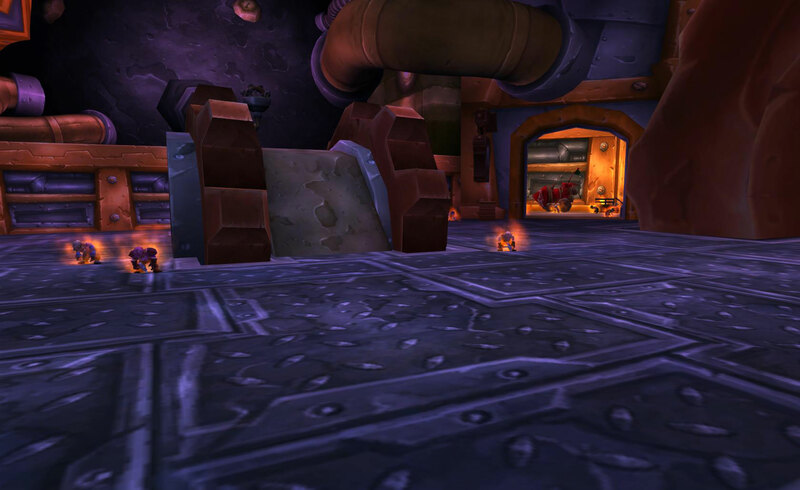 Which indicates that there will once again be a PvP based raid dungeon in Cataclysm. 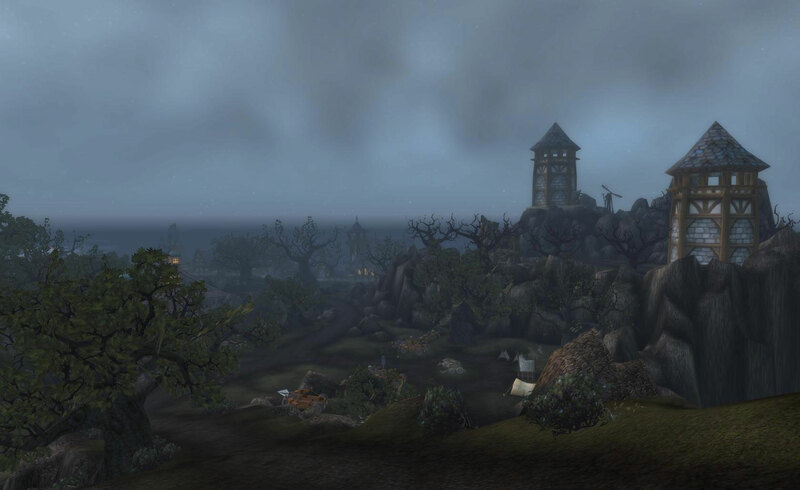 Many more screenshots of Tol Barad after the break. 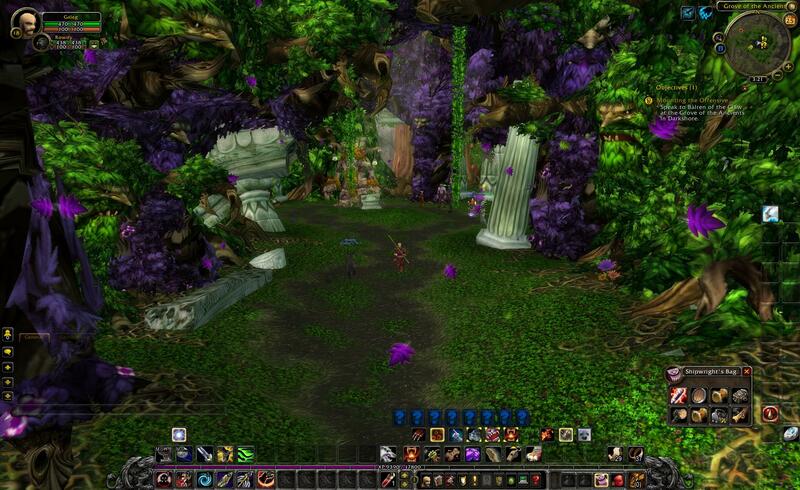 You are currently browsing the archives for the Cataclysm Beta category.